To get a firm grip on the Fair Labor Standards Act (FLSA) and all of its requirements, you need to start with the difference between exempt and non-exempt employees. This classification is critical because non-exempt employees must be paid minimum wage and are eligible for overtime. Exempt employees, on the other hand, are paid a set salary for all hours worked, even if it’s more than 40 in a workweek. Q: What is an exempt employee? Exempt employees (commonly called “salaried”) are not paid minimum wage, nor are they eligible for overtime pay. They must make at least $455 per week (or $23,600 per year), and their job responsibilities must pass a Department of Labor (DOL) “job duties” test. In most cases, exempt employees fall into one of four “white collar” categories: executive employees, administrative employees, professional employees and outside or commissioned salespeople. Q: What is a non-exempt employee? Non-exempt employees (commonly called “hourly”) are paid an hourly wage and are eligible for overtime pay. They must make at least the legal minimum wage for all hours worked – up to 40 in a workweek. In addition, they must receive overtime pay at the rate of one and one-half times their regular rate for all hours worked over 40 in a workweek. Q: How do I determine if an employee is exempt or non-exempt? Making the right classification isn’t always easy. Perhaps the most common error made by employers resulting in FLSA violations is equating the term “salaried” with the term “exempt.” While many salaried employees do indeed meet the law’s criteria for exempt status, merely being paid a salary does not render an employee exempt from the minimum wage or overtime requirements. Exemptions are not created by job title, level of education, license or professional degree, pay level, or even an employee’s request to be treated as exempt. Rather, an employee’s exemption status depends primarily on his/her actual job functions and responsibilities. The only way to establish an exemption is to meet the law’s specific “job duties” test and related criteria. Q: How do I track time for exempt employees? Do they need to submit time sheets? 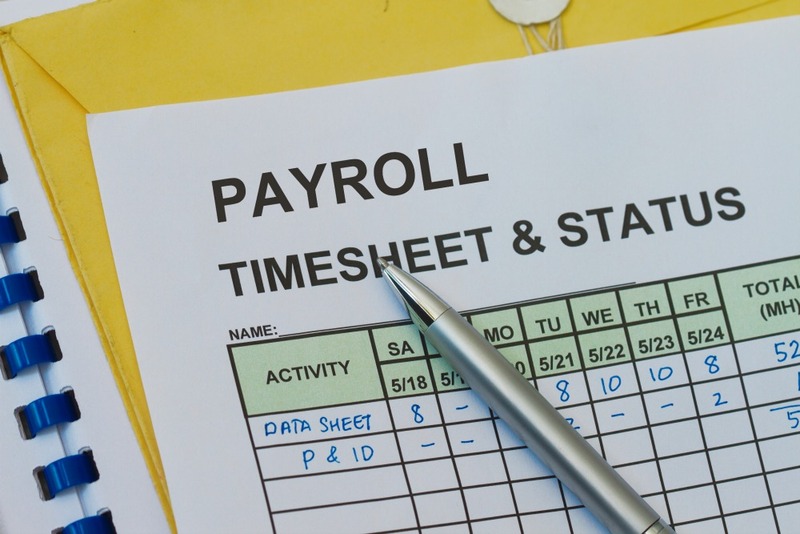 In general, you don’t have to track hours (via time sheets or other means) for exempt employees because they’re paid a fixed salary for all hours worked. That being said, you may have instances, unrelated to pay, where you can ask exempt employees to keep time records. For example: You have an employee whose job overlaps two departments, so her salary comes from two separate budgets. It’s legal to ask her to track her hours for the two departments’ internal accounting or client billing. Tracking this employee’s hours for any other reason might impact the exemption, however, which could cost you back overtime and taxes. Related to this issue, keep in mind that some FLSA exemptions are only partial exemptions, so some parts of the FLSA still apply. For example, motor carriers and certain agricultural workers are exempt from overtime pay, but they’re still subject to minimum wage and timekeeping requirements. Q: Can hourly employees work “off the clock” during busy periods? A: This is a big no-no! Hourly employees cannot volunteer to work “off the clock” or take work home without pay. Under the FLSA, these hours are counted as work time and must be paid at the overtime rate of one and one-half times the regular rate of pay if the employee works more than 40 hours in a workweek. If an employee works overtime without permission, you may take disciplinary action against them, but you must still pay them for the hours worked. Q: Can I deduct salary from exempt employees for sick and personal days? Under a written PTO or time-off bank policy, you can deduct time from the employee’s bank for partial days missed (e.g. in hourly increments) but deductions from pay can only be made in full-day increments. This is because salaried jobs are based on the overall value the employee provides in a given day, not the number of hours worked. Thus, if an employee uses up all of his or her PTO time and then misses a half-day, you must pay him or her for the entire day of work. You cannot deduct any amount from the weekly salary for a partial-day absence. Q: How can TrackSmart help keep me compliant with FLSA laws? A smart solution like TrackSmart can help ensure you’re complying with the essential time and pay rules under the FLSA, along with the latest recordkeeping obligations. With TrackSmart TimeClock, non-exempt employees can clock in and out so their hours are tracked accurately and they receive proper payment for their time worked. With TrackSmart Attendance, exempt employees can submit timesheets so you can track hours worked and process both partial and full days off. TrackSmart Scheduling is ideal for developing schedules and approving/denying time off requests for non-exempt (hourly) employees. All of the TrackSmart apps allow you to assign categories to employees, such as full-time hourly, part-time hourly, salaried and volunteer, so you know how to handle their time and pay. You can also add tags and notes regarding their exemption status (i.e. non-exempt and exempt).